Dr Hilary Bishop appeals to the Irish public for help in locating Mass rocks. Carker Middle Mass Rock Site, Ballyhoura, Cork. 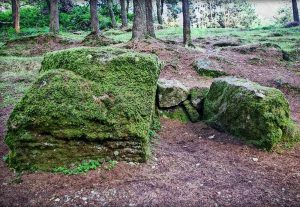 A “human geographer” from the University of Liverpool has appealed to the Irish public to seek out Mass rocks, many of which are in danger of disappearing from living memory. 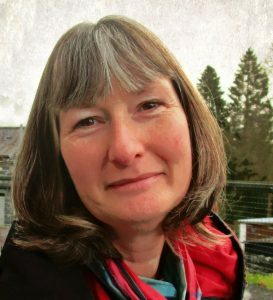 Dr Hilary Bishop studied Mass rocks in Cork as part of her doctoral studies, establishing that while the Archaeological Survey database (ASD) recorded around 100, there were in fact more than 4 times that number. Information about Mass rocks was passed down orally, because to have included them on 17th and 18th century maps would have legitimated the Catholic faith. “I suppose there comes a point where certain generations are less interested in the sites and less interested in their religion and their heritage partly because a lot of them are not physically recorded anywhere so if somebody knows of one and doesn’t pass that information on, then the knowledge of that Mass rock is lost,” she told the Irish Catholic. So far, Dr Bishop has studied Mass rocks in Cork, Mayo, Galway and the diocese of Clogher. Her findings are published on the website she set up: www.findamassrock.com. She is seeking further funding to continue the work of re-finding the Mass rocks and mapping them. She said she “would not be even able to begin to estimate” the final number of Mass rocks in Ireland. “I can only base my opinions on the research that I have undertaken to date and I’ve only done Cork, Galway and Mayo.” However, she is convinced that there are “many, many more”. Within the Archaeological Survey Database of the National Monuments Service for Ireland, Mass rocks are classified as “a rock or earthfast boulder used as an altar or a stone built altar used when Mass was being celebrated during Penal times (1690s to 1750s AD), though there are some examples which appear to have been used during the Cromwellian period (1650s AD). Some of these rocks/boulders may bear an inscribed cross”. The Irish name for a Mass Rock is “Carraig an Aifrinn”. Other names associated with sites where Mass was celebrated in Penal times include “Clais an Aifrinn” meaning “Mass ravine”, “Páirc an tSéipéil” or “Chapel field”, “Faill an Aifrinn” or “Mass cliff”, “Leaca na hAltóra” indicating a flat stone or rock altar, “Cábán an Aifrinn” or “Mass Cabin”, “Cnocán na hAltórach” meaning “small hill of the altar” and “Gleann an Aifrinn” indicating a “Mass Glen”. The Penal Laws were passed between 1695 and 1756. “As locations of a distinctively Catholic faith, Mass Rocks are important religious and historical monuments that provide a tangible and experiential link to Irish heritage and tradition,” says Dr Bishop on her website.